for Christmas, by the commerce that is. Christmas decorations are already on display, shiny glass, …. ehhhh plastic spheres in all colors are for sale. We are being pushed forward to consume big time around the holy feast of Christmas. But what are we to do? Do we play along with the glamour and glitter, or do we practice what Christ preached? Believer or non believer, the social aspect of Christianity would fit us all. BEACON OF LIGHT IN A GREY CITY ? Stepping into the light, after visiting the beautiful Dom of Cologne, ( the big cathedral in Cologne, Germany), in the portal there are beggars at my feet. Just a little further a small group of homeless people is gathering waiting for the soupkitchen to open at three.And when leaving the supermarket that day a scruffy lady in a wheelchair asks for some money. The need to survive is everywhere around me, the struggle of the fittest is real. What to do in times of despair? We pray to the gods, and ask for there advice. Since I am in Germany I turn to the nearest one at hand. From behind the window of a bakery store, through his raisin eyes, he watches my every move. He is not bigger than 20 to 30 centimeters, quite naked with only a sugar glazing as his cloak. He is better known as the WECKMANN, with sometimes a little clay pipe and lolly-pop, and with his sweet soft dough a treat for the children at the end of the year. 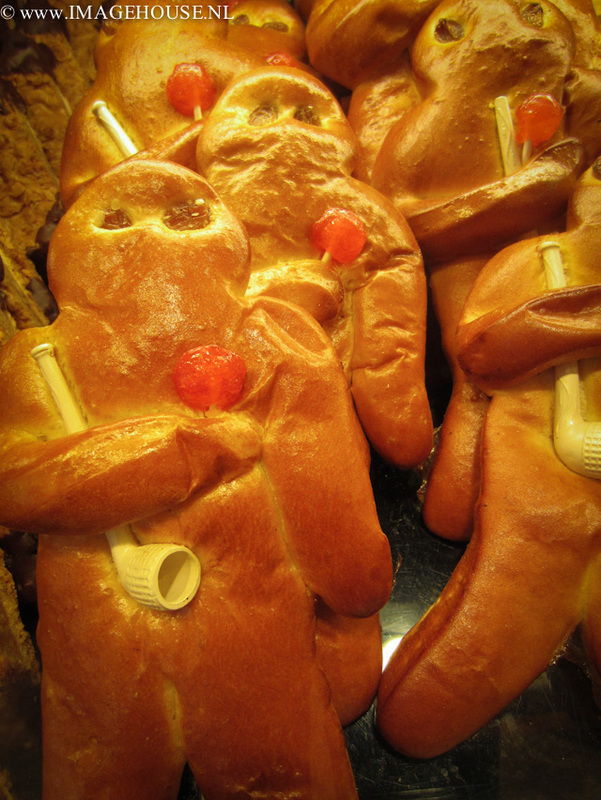 This bread brother of the ginger man, goes back to the beginning of Christianity. blessed and handed out after service to those who could not participated in Eucharisty, and shaped to fit the occasion. Depicted is “Martin from Tours”, who felt compassion, and gave half his cloak to a pour man. In 356 he declares to Julian the Emperor, ” I am a soldier of God, and not allowed to fight for you anymore”. The Emperor was not amused, torture followed and with that marterdom. Given the status of bishop and declared holy, Martin is for sale in German bakeries from the 11 Th. of November for around 1,5 to 3 euros, ( 2 to 4 US-dollars ). For me by now the question how to handle the contradictions around Christmas are getting more clear while this bread story evolves. It seems Martin is giving real directions here, and is preferring good deeds over sweet words. Saint Martin shares the identity of his bread body with Saint Nicholas of Myra. The former, a Greek bishop born 343 AD, was known for giving secret gifts to the needed. He is considered to be the forerunner of the rather modern Santa Claus. The shop manager of one of the bakeries tells enthusiastically of her childhood events round the Weckmann. She remembers her school class coming together in the evening as they went singing in small groups from door to door in exchange for fruits and sweets. The reflection of the warmth of the bonfire lit that night still to be seen on her face as she softly sings one of the songs to me and her colleague.